Golden Coast / News & Offers / Sales & Marketing / Blog / How to get more connections on LinkedIn. 181 million users every month. That’s how many people use LinkedIn each month. Admittedly it’s a long way behind Facebook – at 1.19 billion users a month – and a little behind Twitter – at 232 million. But LinkedIn is the social media site for business. If Facebook is hanging out with friends, then LinkedIn is one of those ‘networking for business’ breakfast meetings that people used to get up at 6:30am to attend back in the late 90’s. If you don’t have a LinkedIn profile, then we have some advice on how to get started here. Even if you do have a profile set up, it might be worth first checking through that article because it’s important that your profile is as complete and detailed as you can make it. It’s more than just an online CV. Lots of people seem to forget that LinkedIn is, in fact, social media. If you were on Facebook, you wouldn’t just set up your profile, find a few friends and then leave it at that, would you? You comment on other people’s posts and updates, you share things that are interesting to you and your friends and you join in on threads and discussions. Well, that’s basically the way to make LinkedIn work harder for you as well, although of course, the content you share and the comments you make should be business related. People on LinkedIn really aren’t interested in what you are having for supper. So what are some of the things that you can do? The first tip would be to update your status regularly. Making this a daily habit would be good, but few of us can find something that is really worth sharing very day. If you blog, then sharing that on LinkedIn is a good plan; if not then share an article that you have seen and you think your connections should be aware of. Either participate in or start a LinkedIn discussion group at least once a week. These groups are like conversations. If no one says anything at all, then they simply don’t get going. If you are going to participate then your input doesn’t have to be the most earth-shattering comment but your comment might spark someone else to join in as well until the discussion gains momentum. If you start a discussion, don’t make it a ‘closed question’; ask people what they think about an issue rather than asking them if they agree with your point of view or not. Join a few relevant LinkedIn groups – like the Wet leisure Industry group which has over 400 members – and be an active part of the discussions. When you do want to make a new connection, personalise it rather than using the default invite request. Endorse people that you know for their skills. You shouldn’t expect an endorsement in return, but it does often happen. 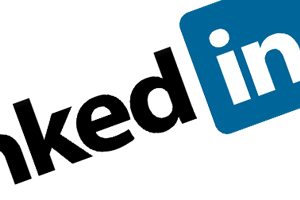 Promote your LinkedIn profile by putting a link to it on your website and any business emails that you send out. LinkedIn can work well for your business, but you have to work at it. We hope this article has been of use to you and we hope that you will join in the wet leisure industry discussions on LinkedIn. If you would like specific help or advice on marketing your business then please get in touch and we will see what we can do.